The final coda of the LCD Soundsystem saga will arrive this Record Store Day, 19 April, when Parlophone releases ‘The Long Goodbye: LCD Soundsystem Live At Madison Square Garden’, a five-LP vinyl unabridged recording of LCD Soundsystem's near four-hour April 2, 2011 farewell show at New York's Madison Square Garden. On 19 May, this vinyl box set will hit retailers en masse and will be released digitally as well. 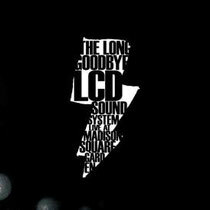 Produced and mixed by LCD founder and frontman James Murphy, ‘The Long Goodbye’ is the ultimate audio document of LCD Soundsystem's final show. The album's exclusive mix brings new life to every note of music played during the epic MSG show--including the performances featured in the film Shut Up and Play The Hits, which chronicled the concert while painting an intimate portrait of Murphy navigating its lead-up and aftermath. Hailed by New York magazine as "a marvel of pure craft" and Rolling Stone as a "staggeringly great night," The Long Goodbye show was the lengthiest, most career-spanning set LCD Soundsystem would ever play. The album captures Murphy and company going out on top and on their own terms: with the ultimate LCD live performance in both senses of the word. On ‘The Long Goodbye’, the LCD core live band of Murphy, Pat Mahoney, Nancy Whang, Al Doyle, Gavin Russom, Tyler Pope and Matt Thornley is augmented by a choir, string and horn sections plus contributions from both one-time-only special guests and many of the musicians with whom the band has worked over the years for final performances including ‘North American Scum’ with guest vocals from Arcade Fire, ‘All My Friends’, ‘I Can Change’, ‘Daft Punk Is Playing At My House’, ‘Someone Great’, a full performance of ‘45:33’ featuring Reggie Watts, an epic version of the song that started it all ‘Losing My Edge’ and hours more.